Mahim is a neighbourhood in Mumbai, India. The Mahim railway station is in the Mahim area, on the Mumbai suburban railway on the Western Railway line. The name Mahim is derived from the ancient Mahimavati meaning "miraculous" in Sanskrit. Other historical names for the area include Maijim, Mejambu, and Mahikawati. 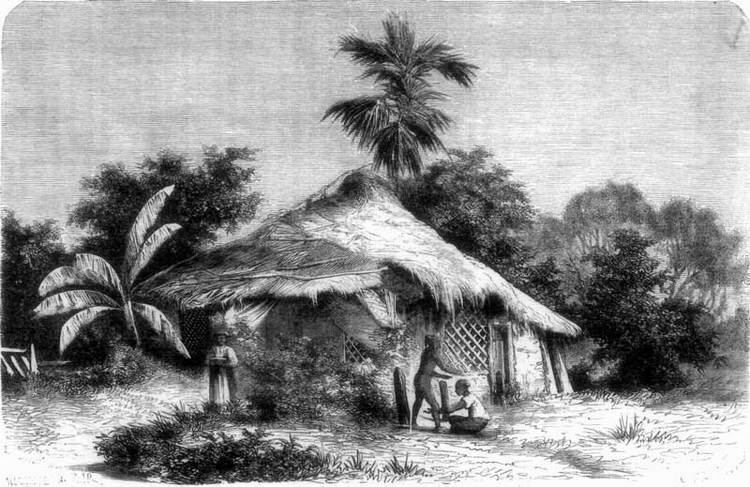 Mahim was one of the seven islands that originally made up Mumbai. Mahim, or Mahikawati as it was known, was the capital of Raja Bhimdev, who reigned over the region in the 13th century. He built a palace and a court of justice in Prabhadevi, as well as the first Babulnath temple. In 1343, this island was possessed by the Sultanate of Gujarat. It was in their reign that the old Mahim mosque was built. A dargah of Makhtum Fakir Ali Paru was built here in 1431. 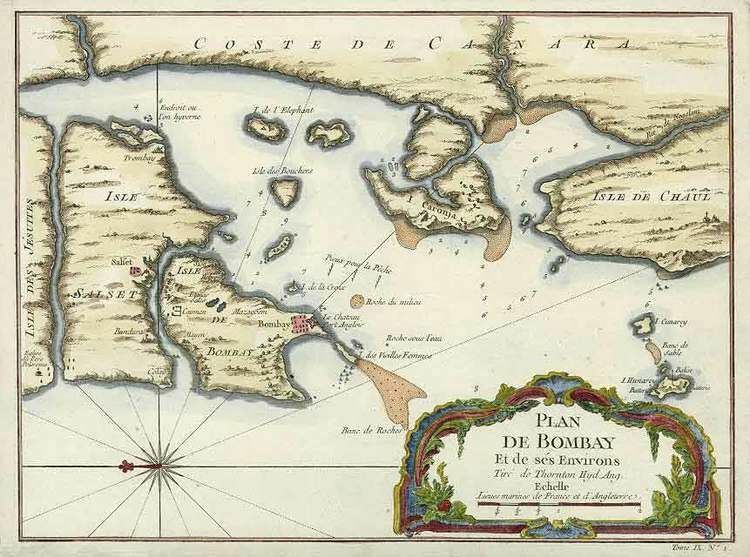 In 1543, the Portuguese captured the islands of Mumbai. In 1662, these islands were given to the English King, King Charles II, as a part of the wedding dowry for the Portuguese princess, Catherine of Braganza. After British acquired Mumbai, they built the Mahim Fort here to protect themselves from the Portuguese. The fort today stands in ruins. The causeway connecting Mahim and Bandra (corrupted from "Bunder" meaning port in Persian) was completed in 1845 at a cost of Rs. 1,57,000 donated entirely by Lady Avabai Jamsetjee Jeejeebhoy, wife of the first baronet Sir Jamsetjee Jeejebhoy with a stipulation that no toll would be charged to citizens for its use by the government. In 1847, a small group of Scottish missionaries decided to start a new school, now one of the most high-profile schools in Mumbai — the Bombay Scottish School. Mahim is surrounded by Dharavi, Dadar and Bandra on the north and the Arabian Sea on the west. Mahim has a number of schools and educational institutions. Some of the well-known schools are Balmohan Vidyamandir, Bombay Scottish School, Mahim, Canossa Convent High School, Victoria High School, Saraswati Mandir High School, Lokmanya Vidyamandir, Billa Bong school and St Michael High School). Reputed colleges and professional educational institutes such as Ruparel College and St. Xavier's Technical Institute are also in Mahim. Mahim Bay is a large bay, part of the Arabian Sea in Mumbai, India. The southern end is Worli, the northern end is Bandra Reclamation and Mahim is in the centre. The bay was named after the islands of Mahim and Salsette were merged in the early 19th century. The Mithi River drains into Mahim Creek. During the colonial era, the Portuguese built a watchtower called Castella de Aguada on the northern side. Later, the British built the Worli Fort to the south and Mahim Fort near the creek to defend the seven islands of Bombay against attacks by the Portuguese and the Marathas. The Bandra-Worli Sealink crosses Mahim Bay. Mahim Creek is a 15 feet (4.6 m) deep creek. The Mithi River drains into the creek which drains into the Mahim Bay. It forms the boundary between the city and suburbs. The creek is swamped by mangroves and has a mini-ecosystem. It now has the Bandra-Kurla complex with corporate offices on both its sides. The waters of the creek are foul smelling due to the dumping of untreated industrial effluents upstream. In recent years, the mushrooming of slums around the waters has caused concern for the mangrove ecosystem, vital to the ecosystem of Mumbai. In 2006, it was the site of mass hysteria as thousands claimed its waters had turned "sweet." The Mahim Causeway is a vital link road connecting the neighborhoods of Mahim in South Mumbai to Bandra in West Mumbai. The Mahim Causeway was built between 1841 and 1846 to connect the island of Salsette with Mahim. The swampy area between the two islands made travel dangerous and thus a need for a causeway arose. The British East India Company, which governed Bombay at that time, refused to fund the project. This led Lady Jeejeebhoy, wife of the first baronet Sir Jamsetjee Jeejeebhoy, to donate the entire amount of ₹157,000/- on the condition that the government would not charge a toll for its use or disturb the Koli community who lived around the area. The Mahim Causeway forms the link between Swami Vivekanand Road and L.J. Road, being the stretch between Bandra masjid and Mahim church (St. Michael's). It is not to be confused with the Bandra-Worli Sea Link, a major infrastructural project opened on 30 June 2009 which is designed to ease traffic across the causeway by building another bridge across the Mahim Bay. Mahim Fort, which was once visible from the Mahim Causeway and Bandra Reclamation, is barely visible now. The Mahim Fort along with Fort St George in South Mumbai was an important base during the time of the British Empire. Other forts in Mumbai and Salsette Island include Sion, Worli, Sewri and Mazgaon. Fort St George was built in 1669, by the former Governor of Bombay, Gerald Aungier. Thomas Grantham then strengthened the fort's ramparts in 1684. In 1772, 111 years after Bombay was taken from them, the Portuguese attempted to attack this fort. The British replied fiercely with cannonballs. The Bandra church also bore the brunt of their fire. There were about 100 soldiers and 30 cannons in the Mahim Fort at that time. Today the fort is almost ruined and encroachers and hutments occupy it.